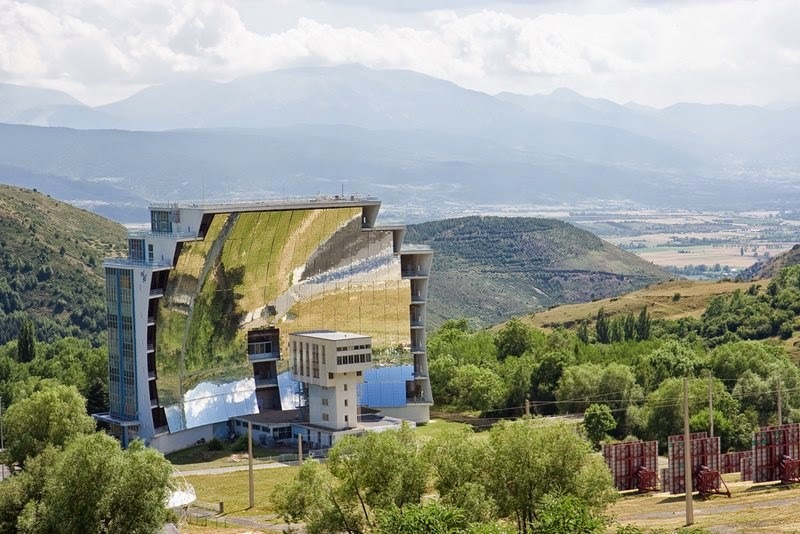 The largest Solar Furnace is at Odeillo in the Pyrénées-Orientales in France, opened in 1970. 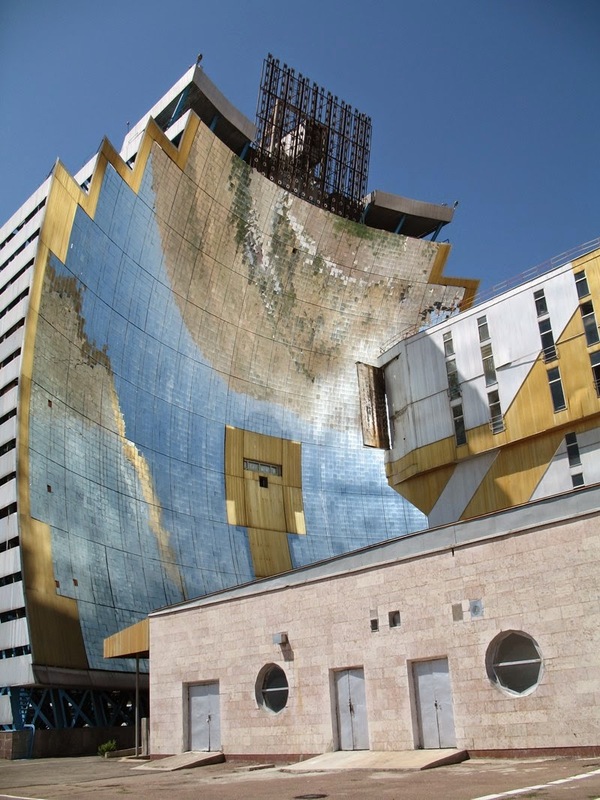 It employs an array of plane mirrors to gather sunlight, reflecting it onto a larger curved mirror. 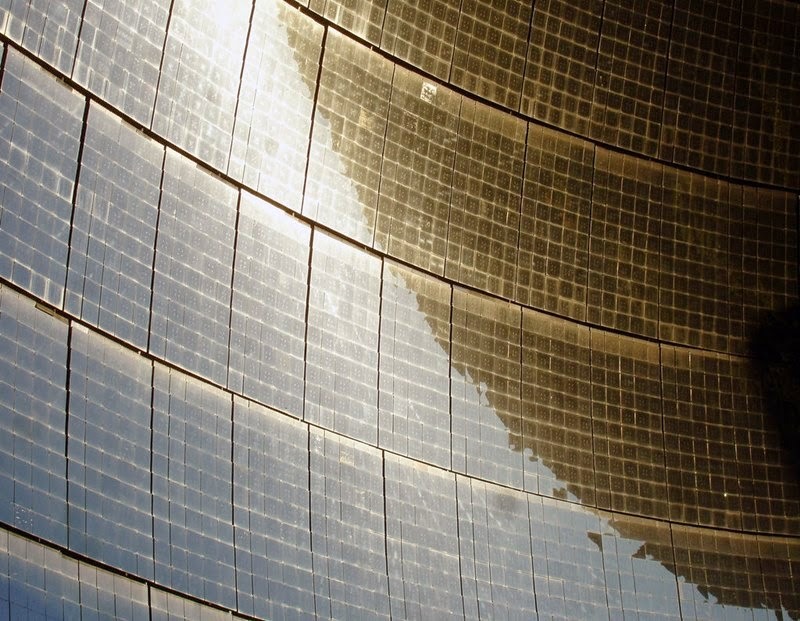 Solar furnace consists of 10000 concave mirrors that reflect and focus the sun's rays on the square diagonal of 40 inches. Diameter mirror construction is 54 meters. An array of mirrors acts as a parabolic reflector, concentrating light into focus. Temperature is in focus, as if in this place at the same time sent 22,000 suns. It can reach 3500 ° C (all depends on the position of the mirrors). 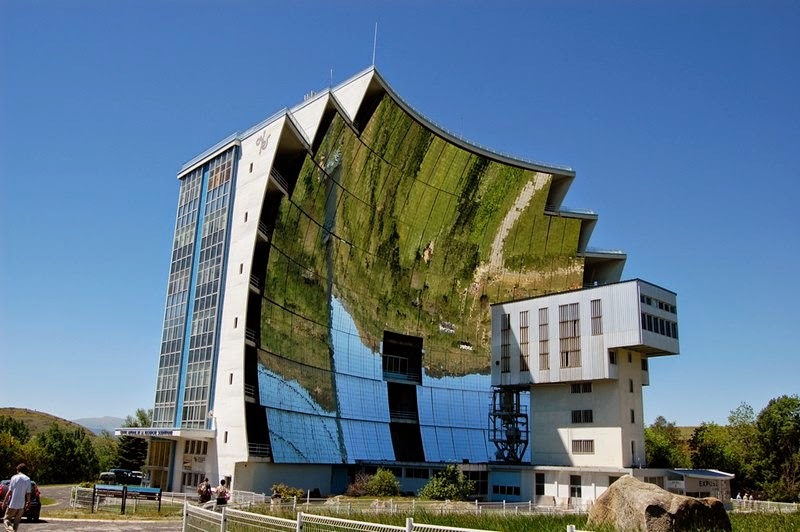 Solar furnace used for industrial purposes. 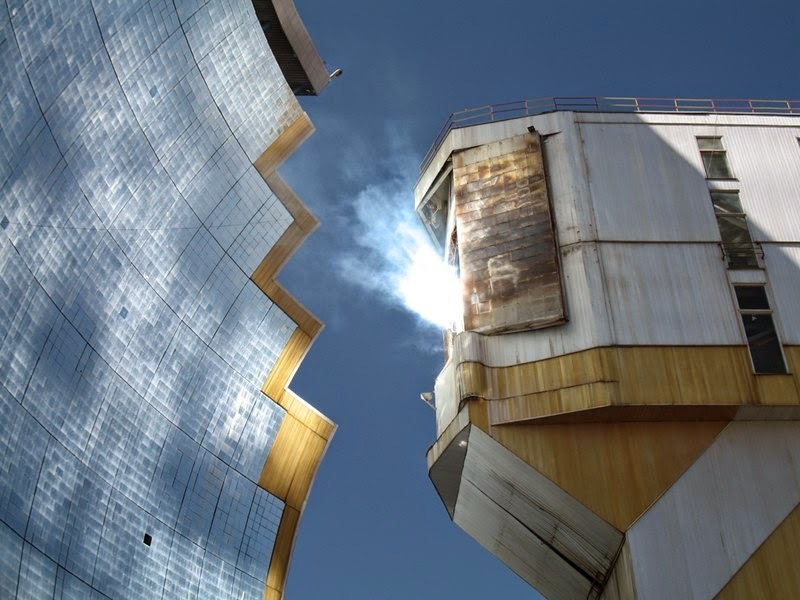 With its help generate electricity, melt steel, creating hydrogen fuel and nano-materials. The ancient Greek / Latin term heliocaminus literally means "solar furnace" and refers to a glass-enclosed sunroom intentionally designed to become hotter than the outside air temperature. During the Second Punic War (218 - 202 BC), the Greek scientist Archimedes is said to have repelled the attacking Roman ships by setting them on fire with a "burning glass" that may have been an array of mirrors. An experiment to test this theory was carried out by a group at the Massachusetts Institute of Technology in 2005. It concluded that although the theory was sound for stationary objects, the mirrors would not likely have been able to concentrate sufficient solar energy to set a ship on fire under battle conditions. 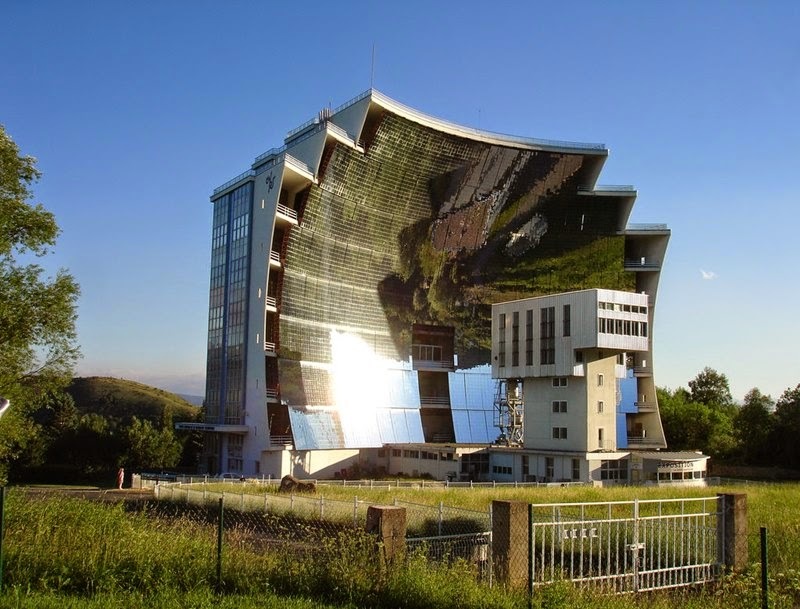 The first modern solar furnace is believed to have been built in France in 1949 by Professor Félix Trombe. It is now still in place at Mont Louis, near Odeillo. 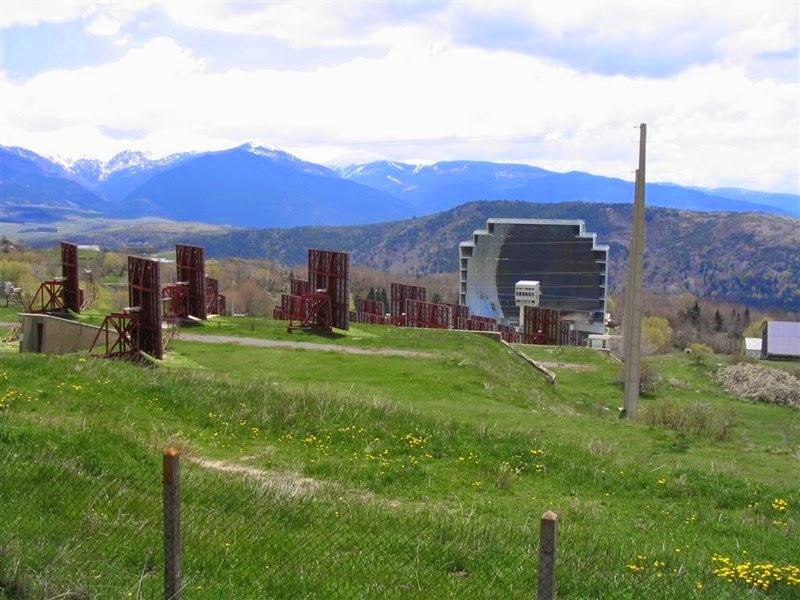 The Pyrenees were chosen as the site because the area experiences clear skies up to 300 days a year. Another solar furnace was built in Uzbekistan as a part of a Soviet Union "Sun" Complex Research Facility impulsed by Academician S.A. Asimov.